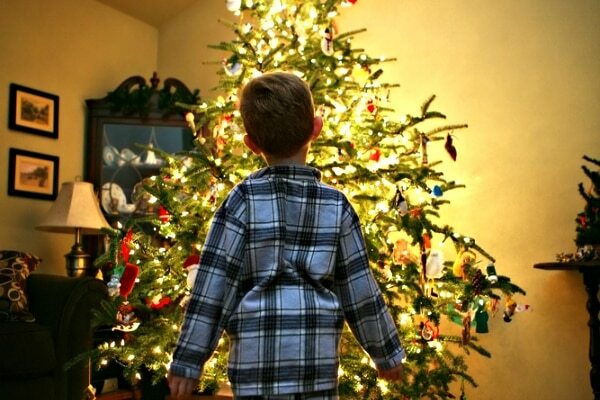 One of the most beloved Christmas traditions in many families is to hang stockings by the chimney with care. 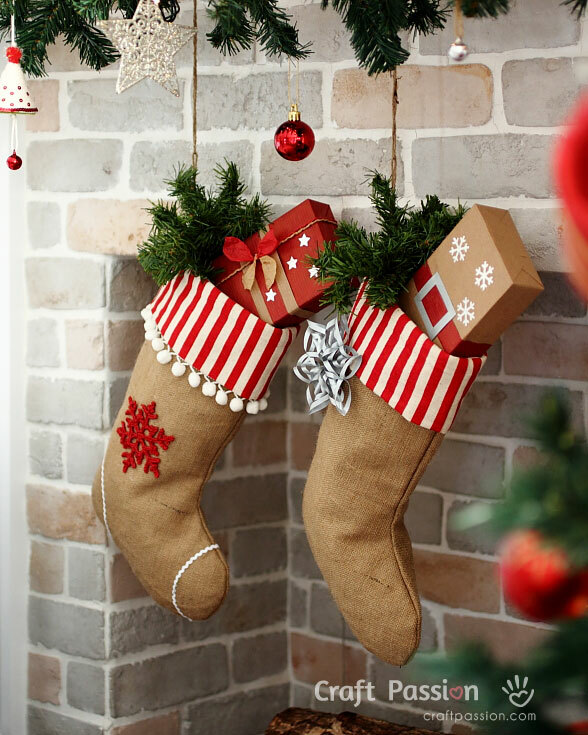 While Christmas stockings are most often used for holding treats and goodies on Christmas morning, they can also be the focal point of your holiday display and an emblem for your family members’ personalities, interests and styles. 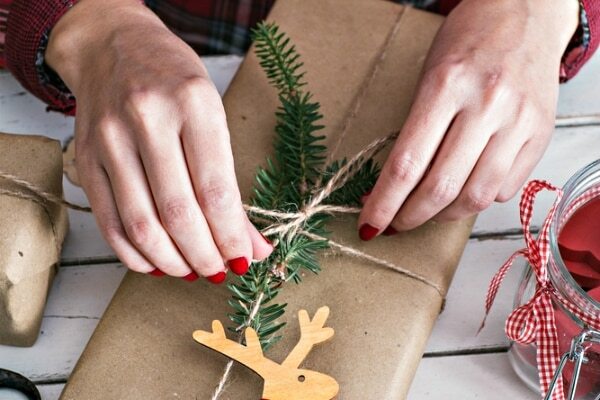 This year, put away the generic store-bought stockings and pull out your craft supplies to create unique stockings for your entire family. 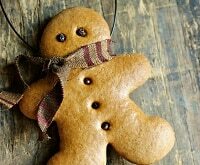 Whimsical or classic, personalized or matching, here are 20 DIY Christmas stocking ideas to inspire you! 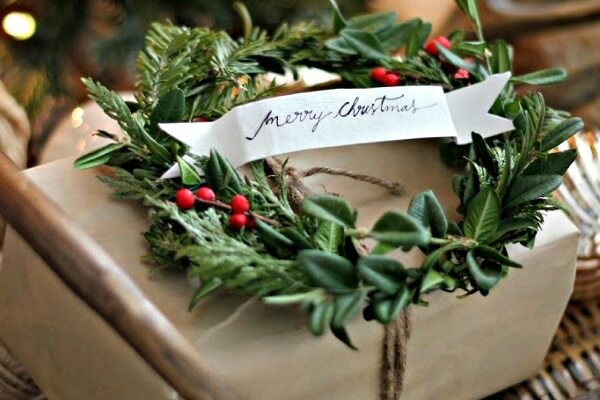 Add a homemade garland or two to your holiday decor, and once your stockings are made be sure to check out these festive ideas for dressing up your holiday mantel. 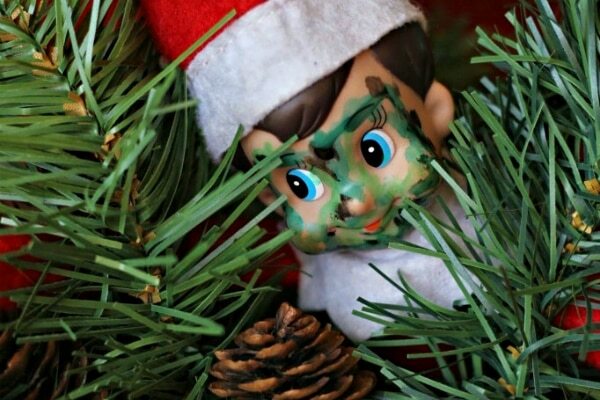 If you’re in need of some great last-minute stocking stuffers, these ideas have you covered! 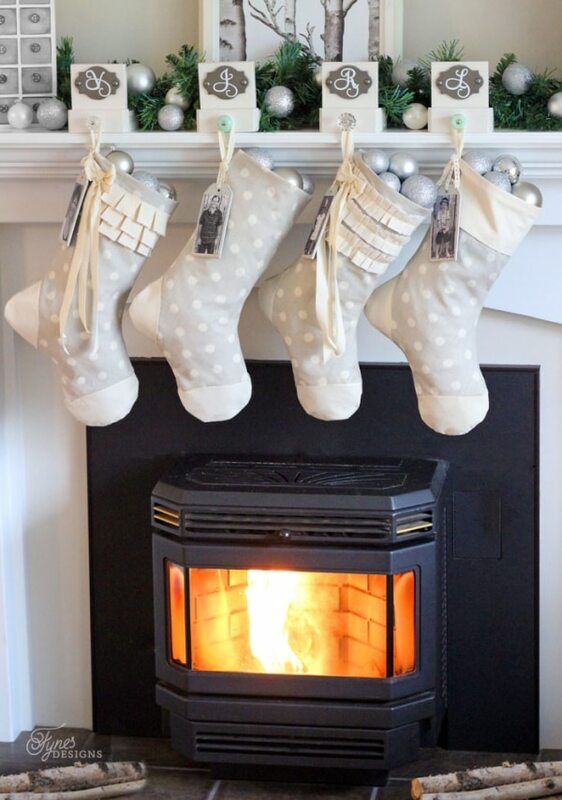 Grey and white polka dots provide a simple yet festive backdrop on these supersized stockings, while ruffles and picture tags personalize them for each family member. 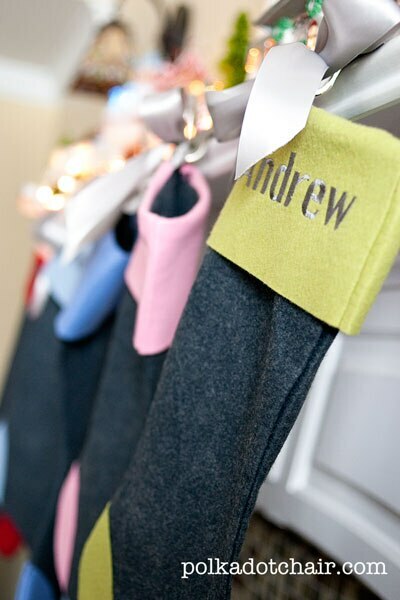 Monogrammed stocking hooks also add an element of charm to the whole display! 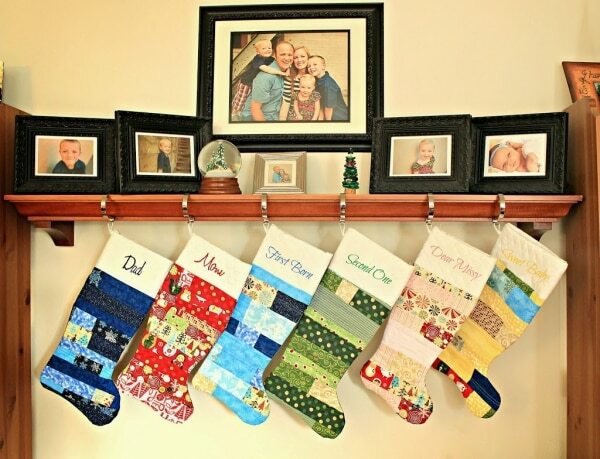 You don’t have to break the bank to make a set of matching stockings for your family. 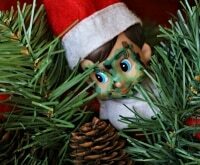 Here, classic plaid cuffs were added to stockings made out of basic and inexpensive drop cloths from the hardware store. 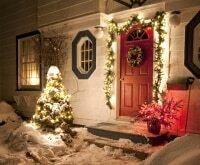 The result is a rustic charm that can work with a variety of styles. 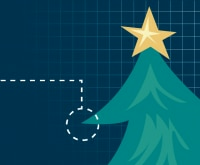 Distinguish identical Christmas stockings with a basic cutout silhouette. 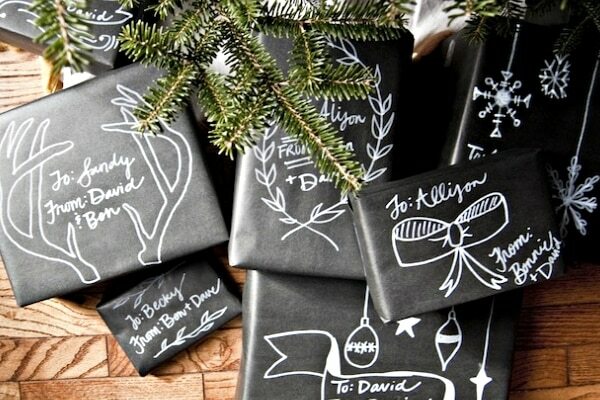 Stenciled, ironed-on, or painted, there will be no mistaking whose goodies are whose come Christmas morning! 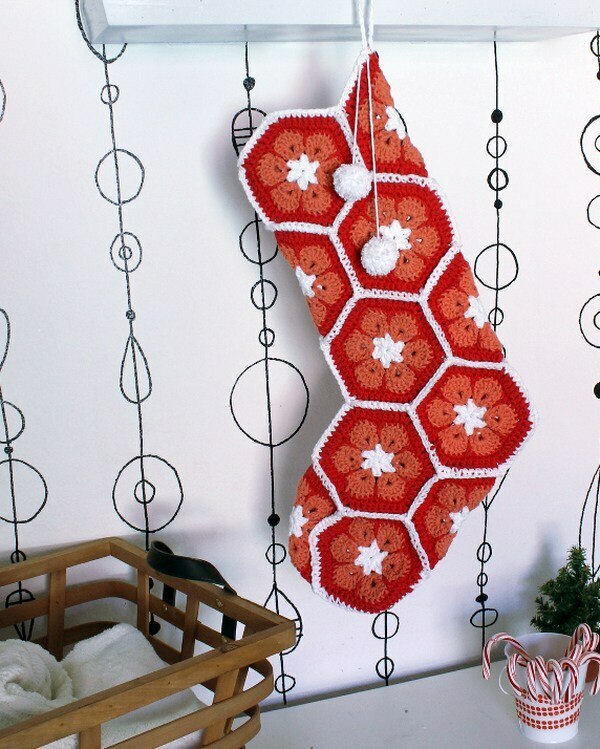 If you prefer a traditional yarn stocking, give this simple crochet pattern a try! Since yarn stretches, you can fill this one to the brim with all sorts of treasures and surprises. 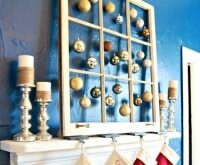 Try this whimsical take on the classic red and green stocking to give your mantel a jolt of personality. 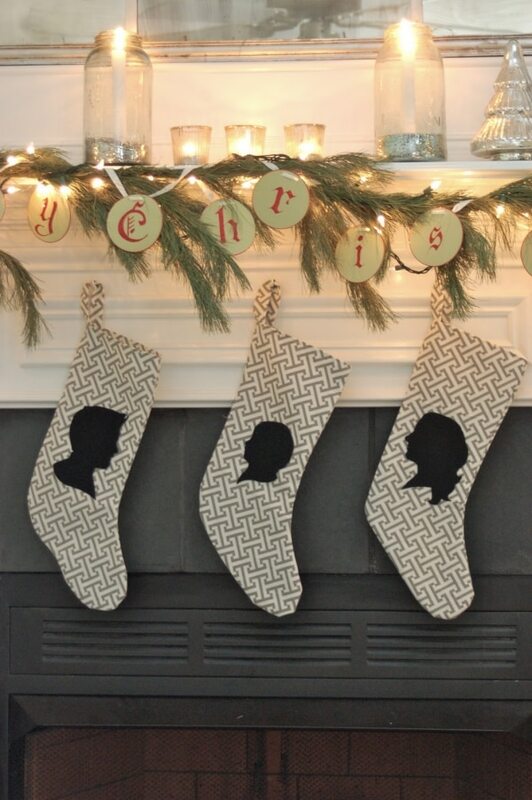 Mix and match patterns from the same fabric line to create individual stockings that look like a set when hung together. 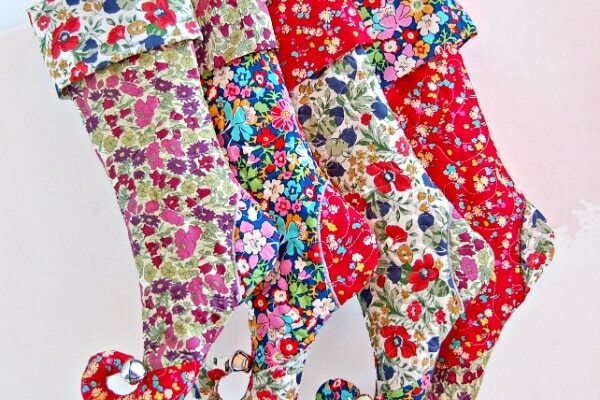 These flowered, elf-like stockings are a feminine and fun take on the traditional versions. Mix and match floral patterns, and accentuate the curly toe with a jingle bell. These wool and felt stockings are a fresh and modern twist on a stocking classic. Stockings in a traditional texture and shape are personalized with embroidered names. Various colored cuffs, heels, and toes provide some individuality and interest while maintaining a cohesive look. 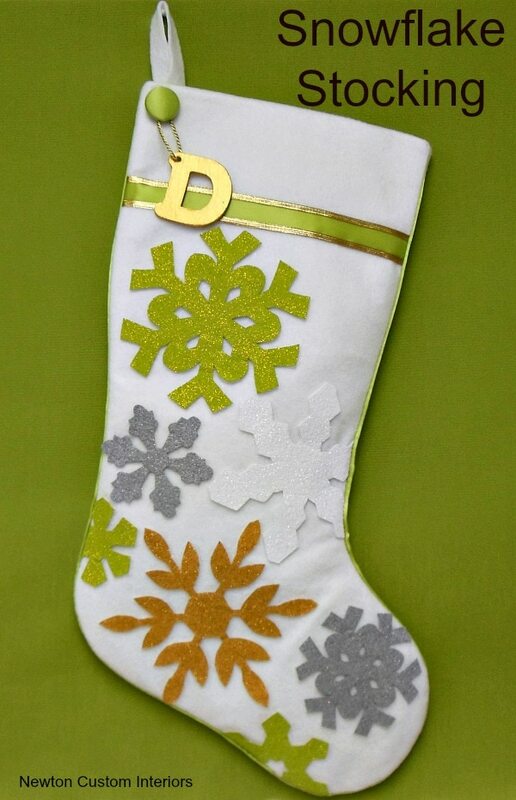 Die-cut snowflakes in sparkly felt lighten and brighten a plain white stocking. 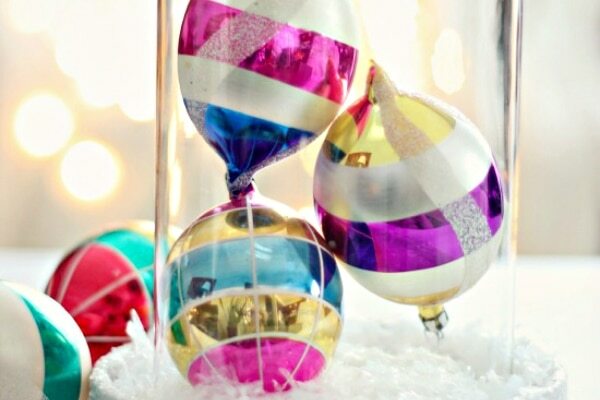 Pick felt colors that match your home or overall holiday scheme. 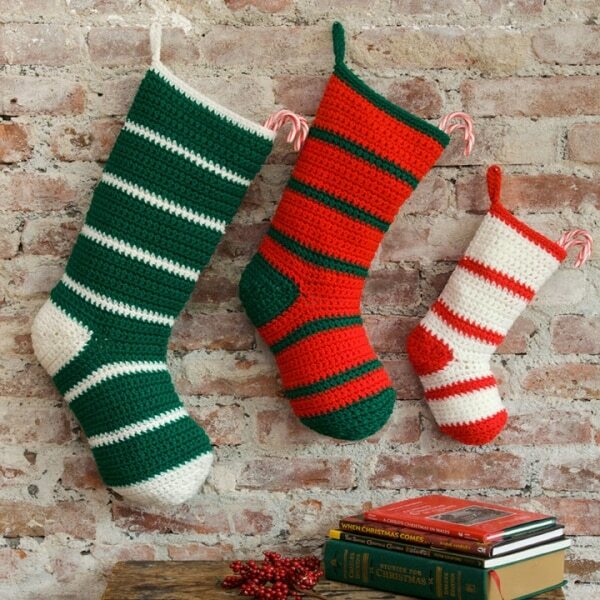 This crochet stocking pattern comes in three sizes, so you can make a stocking that’s “juuuust right” for each family member. 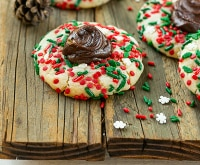 Make them in classic Christmas colors, as shown here, or pick bright, non-traditional colors for a more bohemian look. 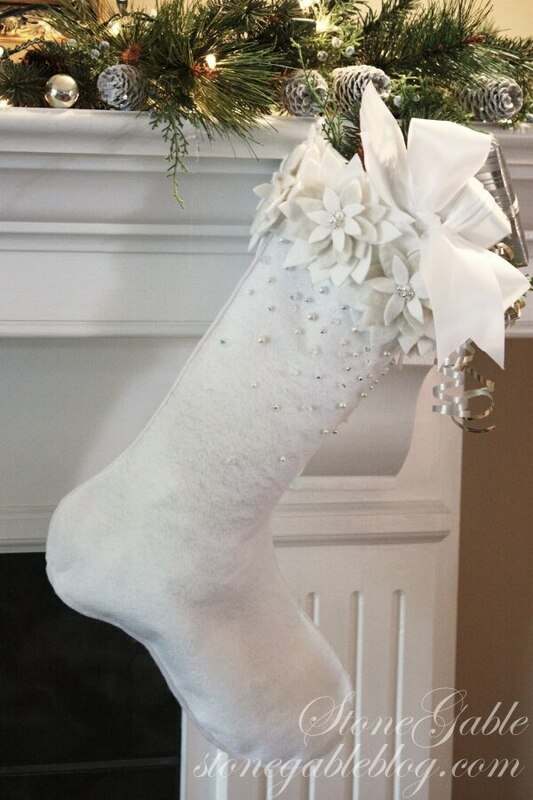 White flowers and white beads on a white stocking base results in a stunning, cozy, and chic holiday accessory. These winter white stockings would look amazing in any holiday scheme, and best of all? They’re almost no-sew! 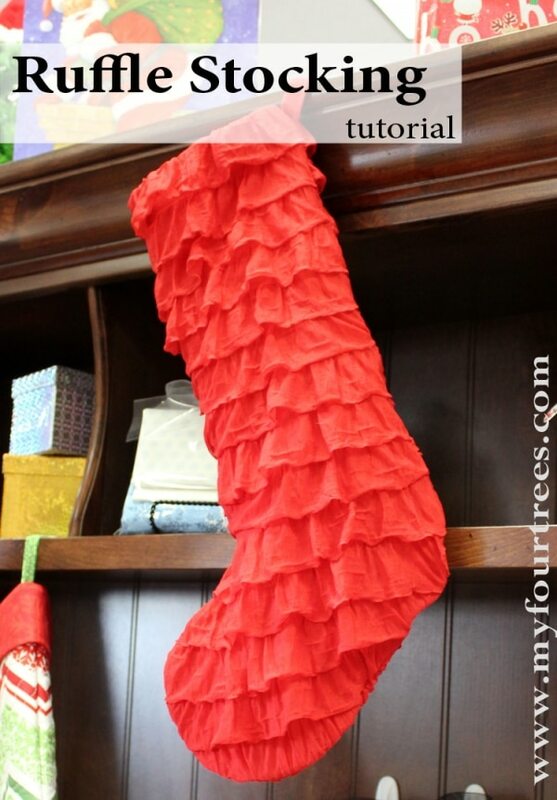 Stitch up a ruffled stocking for all the frilly and girly-girls in your family! 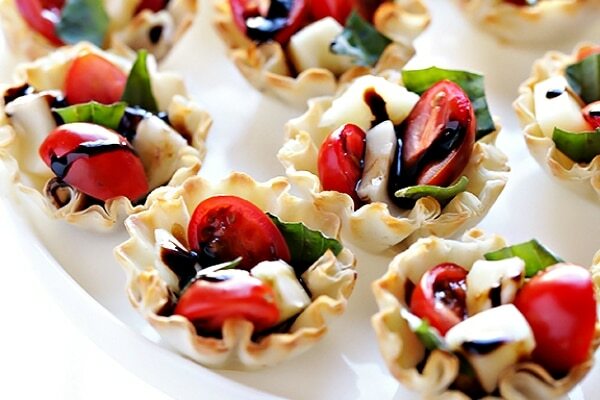 Don’t be intimidated by all the ruffles. This one comes together quickly and easily using pre-made ruffle fabric. 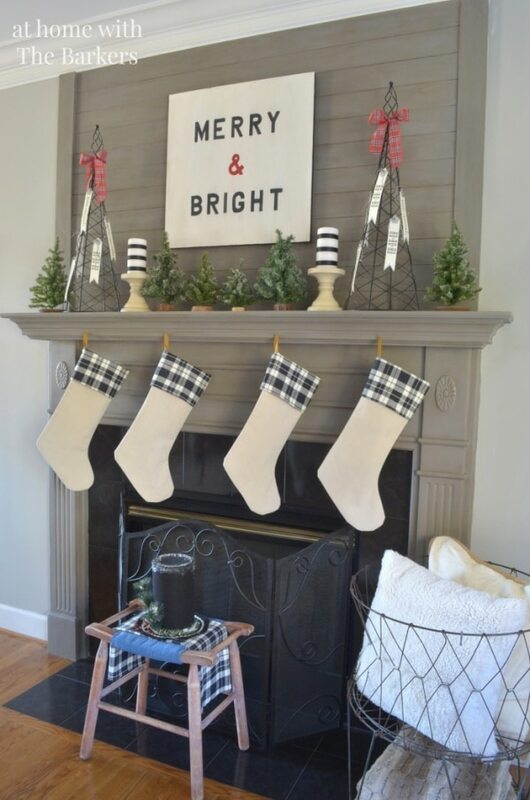 Alternating combinations of faux fur, plaid, and houndstooth fabrics create rustic, cozy, and awe-inspiring stockings. You’ll be amazed at how easy these beauties come together with just basic sewing skills! 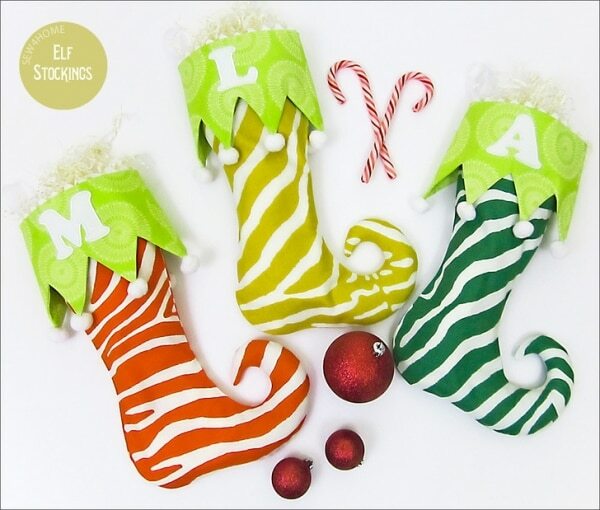 Made to look like elf or jester shoes, here’s a funky twist on the homemade Christmas stocking. Bright and modern fabrics combined with a chevron and pom-pom cuff create adorable accessories that will surely make everyone smile year after year. 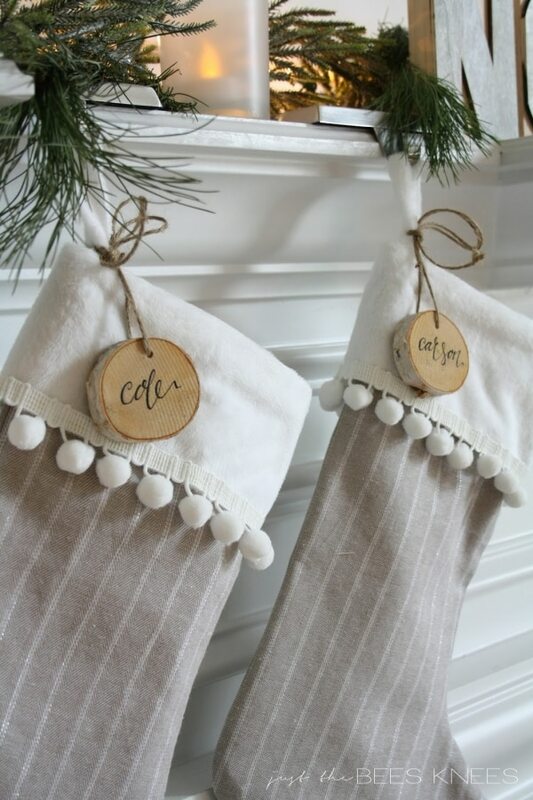 A classic and simple stocking is always a winner. Here, pinstripes and a basic pom-pom cuff nod to all things cozy, comfortable, and traditional. 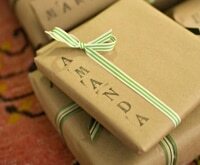 Personalize each one with a wooden nametag! 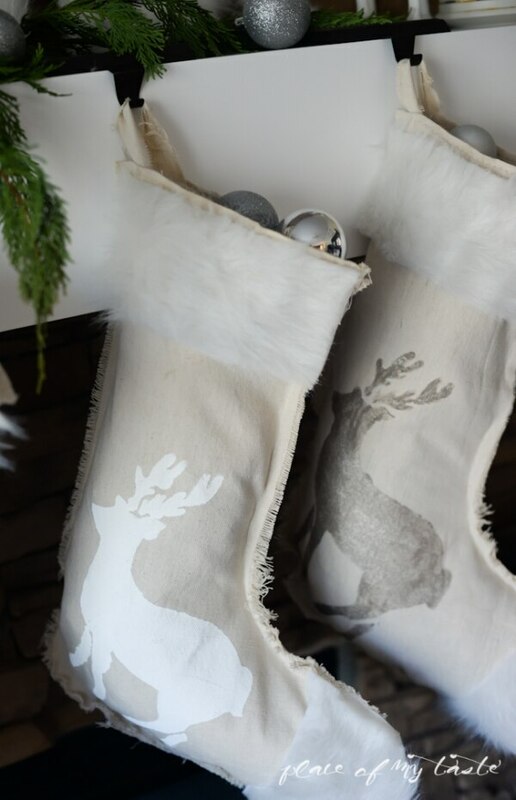 Add some faux fur and sparkly deer silhouettes to basic stockings made from drop cloths — no sewing required! 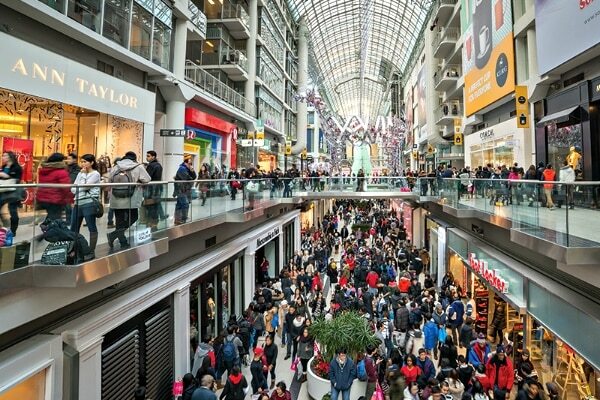 If deer don’t suit you, pick any Christmas-themed image to adorn each stocking. 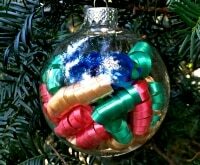 Here’s a great stocking project to use up the scraps in your fabric stash. 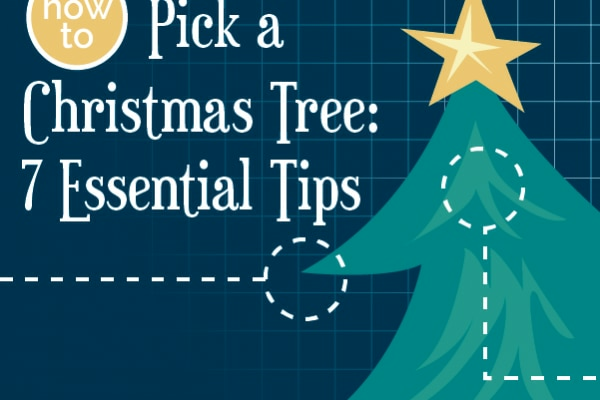 Distinguish each stocking by color and go to town mixing your fabrics and patterns any way you like. Cheeky embroidered names give these a bit more personality! 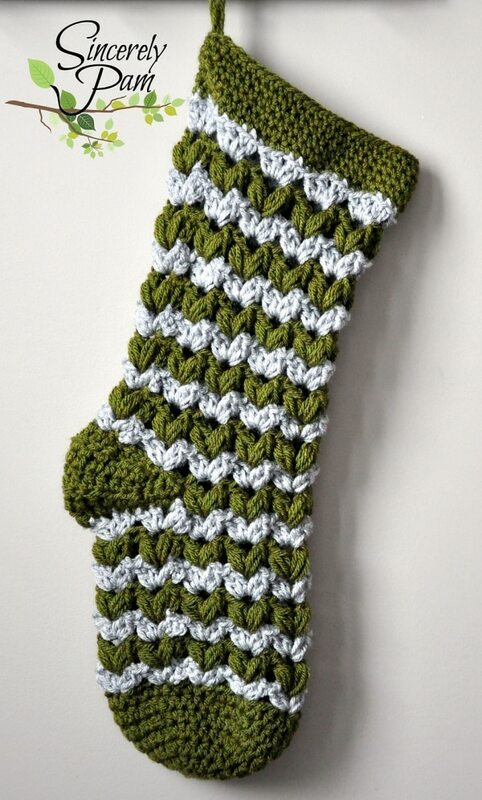 Try this fun and playful spin on the basic crochet stocking. 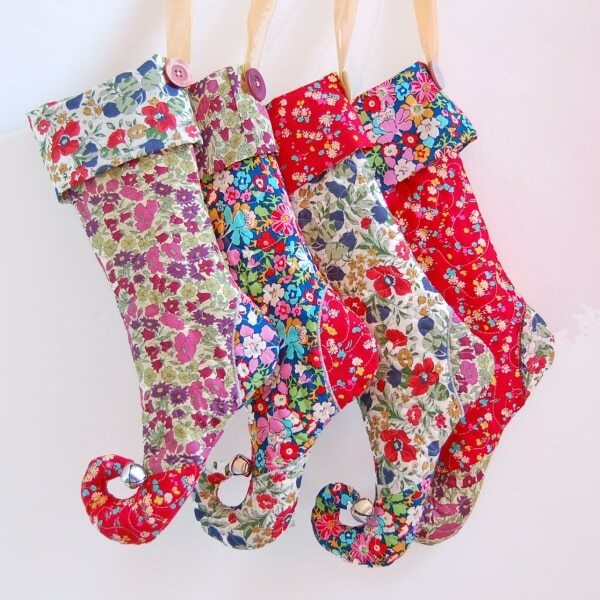 This tutorial walks you through how to make the individual African flowers, and then shows you exactly how to stitch them together to make this pretty-patterned stocking. Change out the colors for each member of your family! 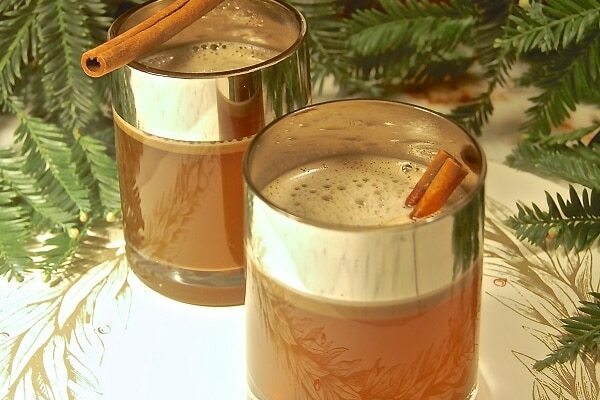 Burlap is another rustic material that nods to holidays, traditions, gingerbread, and home. 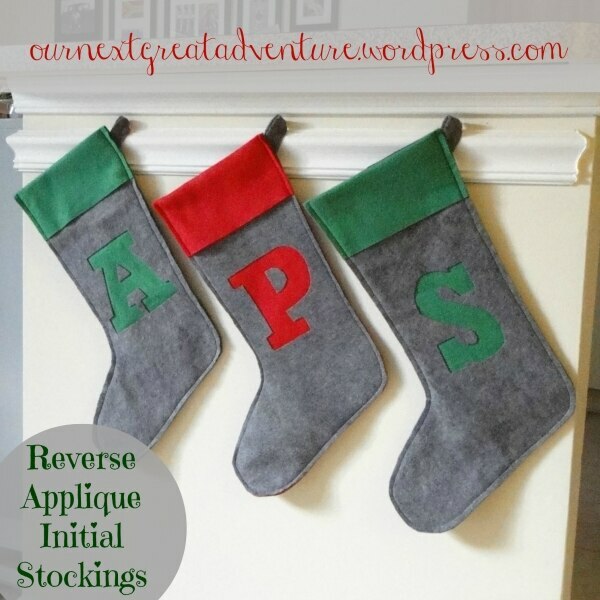 Combine this inexpensive woven textile with classic Christmas patterns to create simple stockings for the whole family. Do you have Frozen lovers in your family? 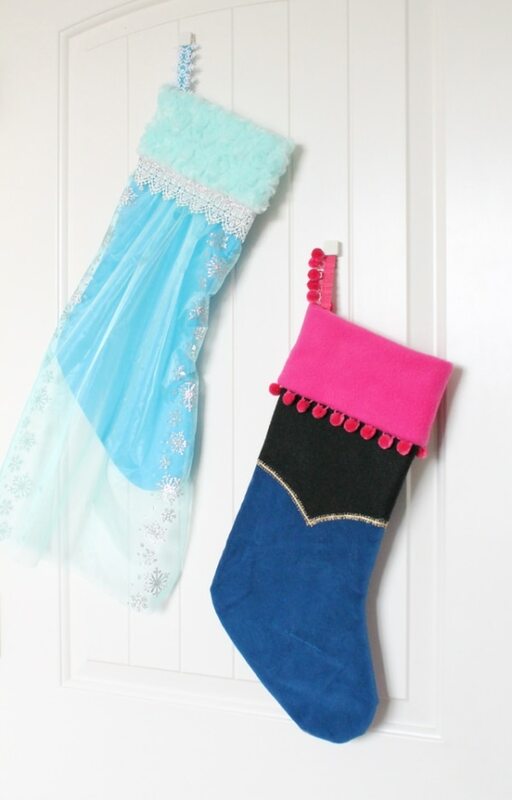 Make their holiday extra special by decorating basic store-bought stockings to look like Anna and Elsa’s dresses! 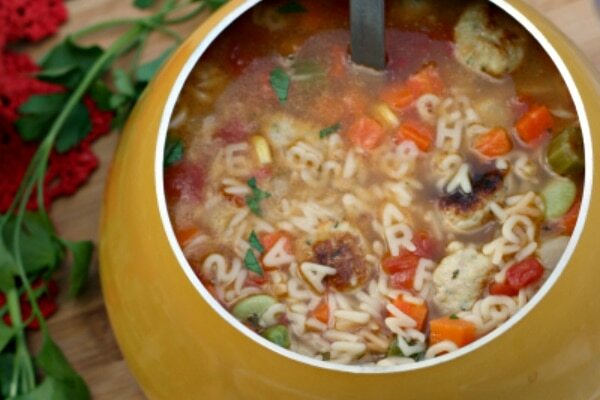 These stockings employ a fun technique to create a basic monogram. 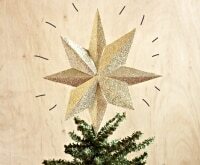 Made entirely of felt, these are easy and inexpensive to make and won’t ever fray — even with yearly use! 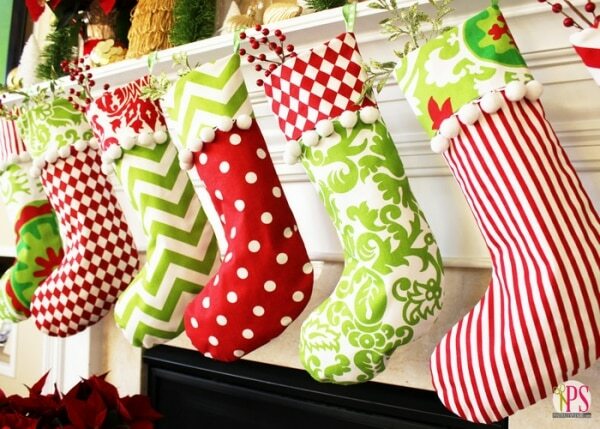 Making your own Christmas stockings is a fun, easy, and inexpensive holiday project. 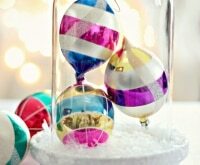 Whether you prefer traditional or modern, whimsical or classic, matching or unique, stockings are a great way to infuse color, pattern, and personality into your mantel display. 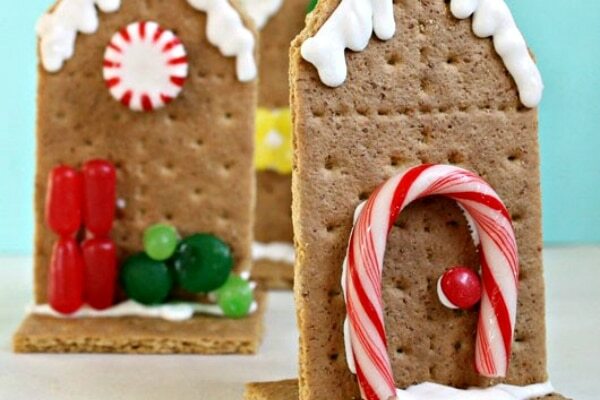 Have fun, get creative, and enjoy making these quintessential holiday items your family will always remember and anticipate pulling out year after year!